23 March 2018. 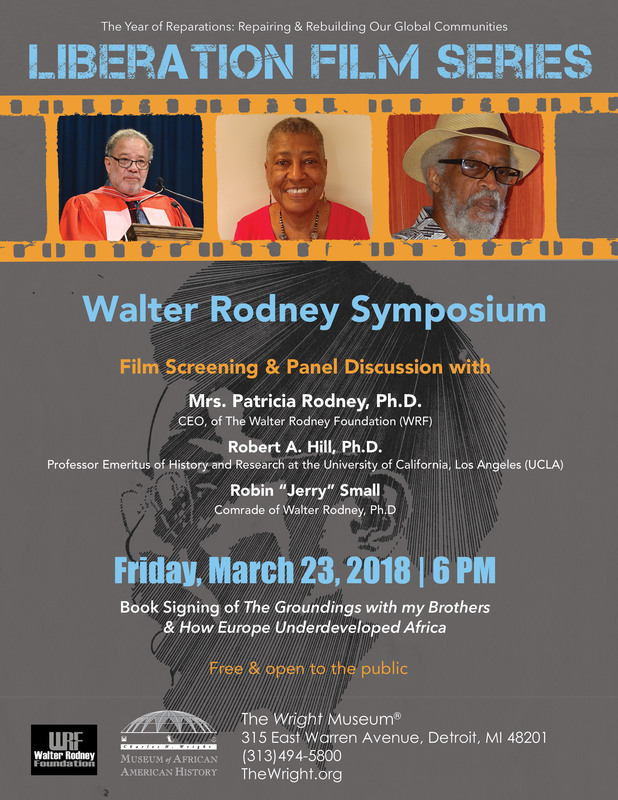 Film screening and panel discussion with Patricia Rodney, Robert A. Hill, and Robin "Jerry" Small on the legacy of Walter Rodney. Symposium will be held at the Wright Museum in Detroit, MI. More information may be found here: https://thewright.org/index.php/explore/events/upcoming-events. 14 March 2018. Profs. 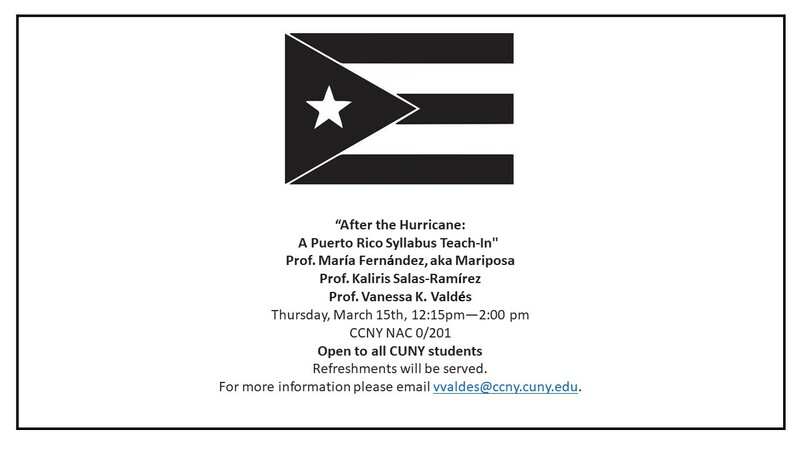 María Fernández aka Mariposa (Black Studies Program), Kaliris Salas-Ramírez (CUNY School of Medicine), and Vanessa K. Valdés (Dept. of Classical and Modern Languages and Literatures) spoke on the current state of Puerto Rico after the hurricane. Issues included a historical background to this present moment (how did we get here? ), disaster relief efforts, the privatization of schools, and what we can do moving forward. 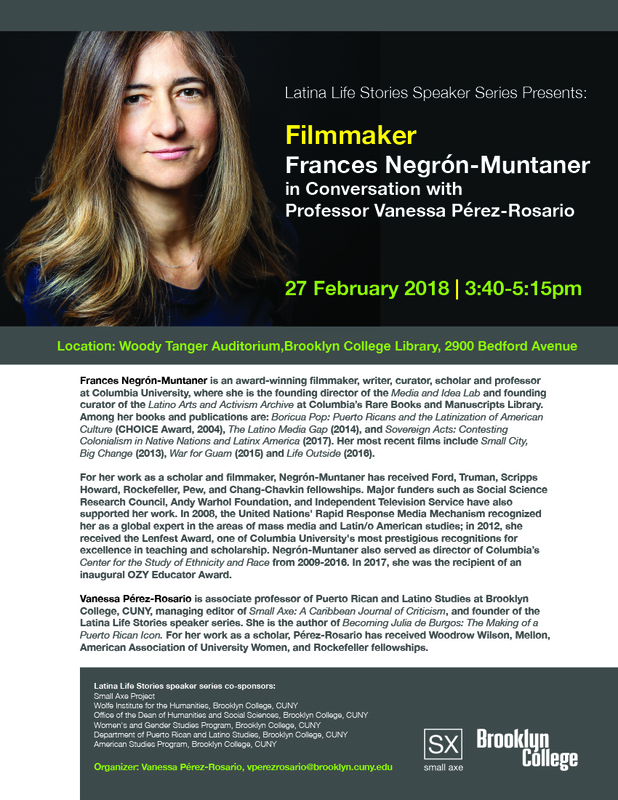 This conversation was inspired by the Puerto Rico Syllabus (puertoricosyllabus.com). 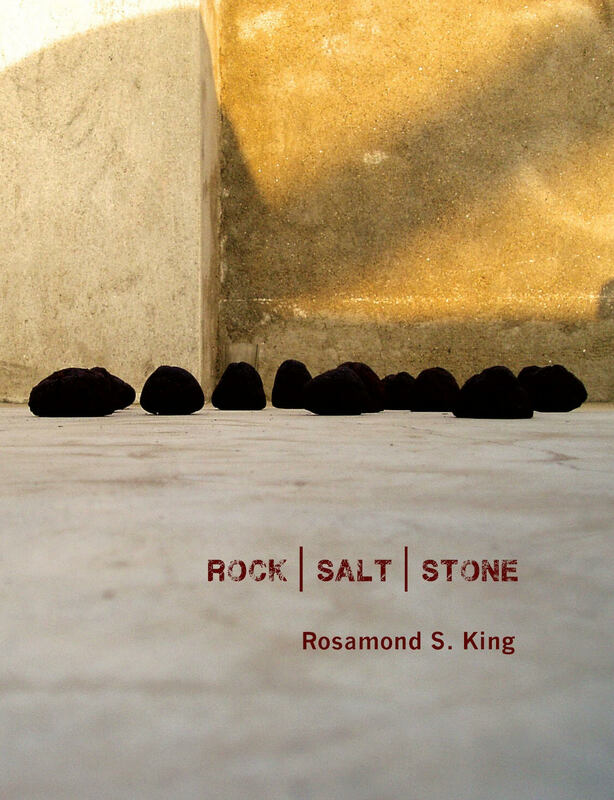 King's Rock | Salt | Stone is a finalist for a Lambda Literary award. "The Lambda Literary Awards identify and celebrate the best lesbian, gay, bisexual and transgender books of the year and affirm that LGBTQ stories are part of the literature of the world. The ‘Lammys,’ which receive national and international media attention, bring together 600 attendees—including nominees, celebrities, sponsors, and publishing executives—to celebrate excellence in LGBTQ publishing. 10 March-22 April. 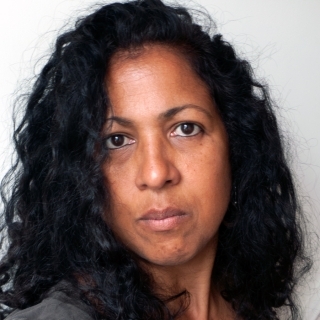 Roshini Kempadoo will be exhibiting as an invited artist to the India: Contemporary Photographic and New Media Art exhibition lead curated by Sunil Gupta. FotoFest 2018 speaks to a number of contemporary issues in India including gender and sexuality, land rights conflict, the environment, human settlement and migration, and caste and class divisions. The participating artists are from India and the global Indian diaspora. March 8th @ 7pm @ Strand Books, NYC. 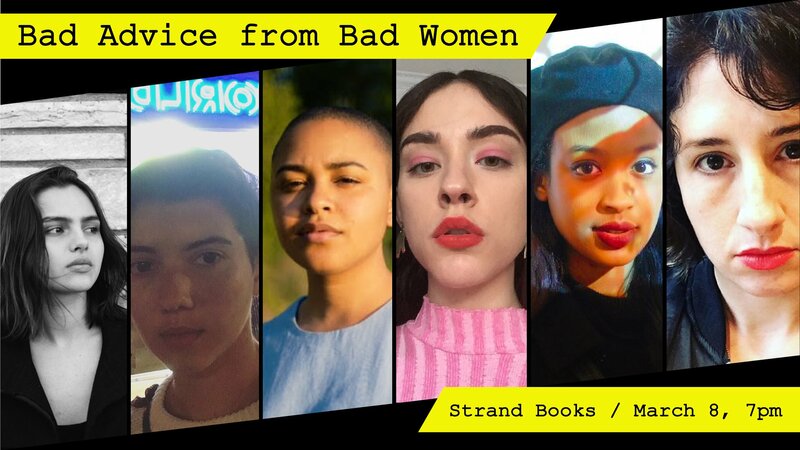 Join some of NYC’s best bad women as they share their incendiary work and instigate further upending of good girl mores. sx archipelagos now accepting submissions for "Slavery in the Machine"
Saturday, 10 February. 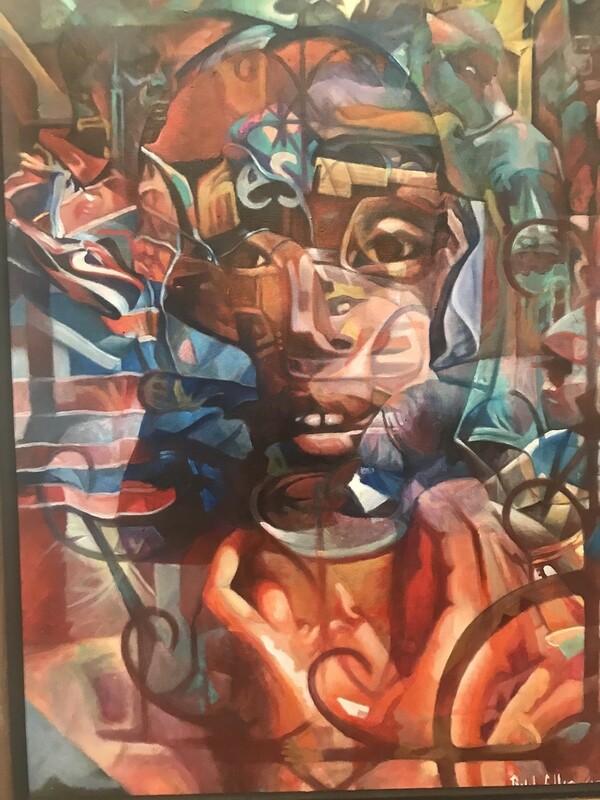 The Colorado Springs Fine Arts Center at Colorado College will officially open The Art of Haiti: Loas, History and Memory, a title which curator Anthony Bogues calls “deliberate and precise,” features contemporary Haitian artwork, commenting on the cultural memory of Haiti, the Loas (spirits) that embody the Vodou religion, and the history that informs the art and culture of Haiti today. 02 February. Curated by Brent H. Edwards, Projecting the New Thing: Black Experimental Film in the Wake of the Black Arts explores the aesthetic experiments of black filmmakers in the 1960s and 70s, when a number of African American artists began to explore 16mm film as a medium for black aesthetics. 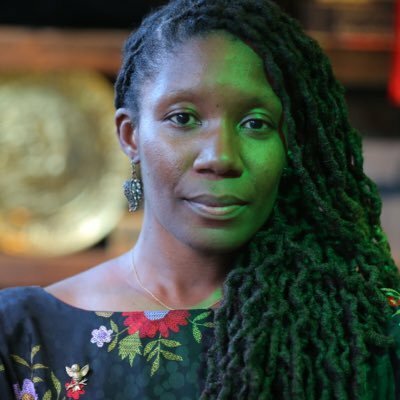 Working independently, taking advantage of sporadic and fleeting government funding or institutional support when they could, a number of black writers and musicians turned to film with an eye to the possibilities of crafting a visionary cinema.